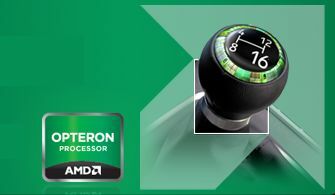 The decline of AMD looks set to continue with another round of job cuts rumoured for January 2013 – just months after the company sacked 15 percent of its entire workforce. According to AllThingsD, multiple sources from within AMD have mentioned that senior managers are getting their teams ready for more cuts, although it’s expected the cull will not be as brutal this time round. Another rumour is that workers are quietly being told to expect to lose their jobs, but will stay on until January in case other workers take the hit. AllThingsD has heard that the company isn’t sure how many heads will roll, because senior managers are waiting to see who’ll simply quit on their own terms before the firm has to bring out the guillotine. The idea here is if a worker simply quits, AMD won’t need to pay out expensive redundancies. AMD has floundered trying to find its place in a world that is increasingly littered with mobile devices. PC sales have been down practically everywhere, especially Europe, as the global financial crisis shows no signs of letting up. Intel, too, has had hard times but its enormous reserve of cash has helped it weather the storm and attempt to spend its way into relevancy – at least in the consumer market. AMD has reportedly been over to JP Morgan for advice, including on how it can carve up and sell off some assets. There have been whisperings for some time that British chip IP company ARM might buy the company itself. AMD recently announced that it would team up with ARM to release 64-bit multicore system-on-chip server processors in 2014, quietly walking away from the more comfortable territory of the x86 platform.